the digital switch could be forced to shut down. At the Pickford, the message is clear: Convert or close. Directors will now try to raise enough money to purchase new digital projectors for each of its three screens: two at its main downtown facility on Bay Street and the other just a few blocks north at its Limelight Cinema on Cornwall Avenue. The effort comes with a hefty $225,000 goal, which the center hopes to bring in through donations and grants, said Alice Clark, the Pickford’s executive director. north side of the building from the intersection of Roeder and Central avenues, depicts a structure full of windows with shops and restaurants on the ground floor along with outdoor seating areas and walkways. Rob Fix, the port’s interim executive director, said he thought the concept was impressive. Along with the city of Bellingham, port officials have undertaken the massive cleanup and redevelopment process for the waterfront property formerly owned by the Georgia-Pacific company. Features detailed information about the top businesses in Whatcom County. Reserve your promotional space by January 9, 2013.
Business networking and education opportunities BIG IDEA PITCH FEST Attendees will have opportunities to vet their ideas against seasoned entrepreneurs and successful NOV business managers during the BIG Idea Lab’s Pitch Fest event at 5:45 p.m. on Wednesday, Nov. 7, at 114 E. Chestnut St. in Bellingham. Promising pitchers will have a shot to win a full membership at the BIG Idea Lab, up to three months of free coworking space and the chance to receive investments. Pitches will be selected at random through a business-card drawing prior to the event. Those chosen will have three minutes to share their idea with a panel of judges without the aid of slides, notecards or other props. The panel will ask questions and give feedback, then select the winning pitch. More information is online at: pnw.cc/eSWg9. fair, visit www.wwu.edu/ careers. For more information about this event, visit the Career Services Center offices in Old Main 280 or call 360-650-3240.
and the Cascadia Green Building Council, registration costs $105. For general admission, registration is $115. Contact Rose Lathrop at rose@sconnect.org for more information. PEACE BUILDERS AWARDS The Whatcom Dispute Resolution Center invites the community to help honor the 2012 Peace Builder Award winners at the NOV 10th annual Peace Builder Awards Gala at 6:30 p.m. on Friday, Nov. 16, at the Majestic in Bellingham. Tickets are available online at www. whatcomdrc.org, or at the WDRC office, Village Books, Boundary Bay and the downtown Community Food Co-op. Attendees can enjoy music form Lindsay Street, Boundary Bay Brewery will provide appetizers and drinks, and the Upfront Theatre will perform improvisational comedy. For more information contact Ellie Rogers at 360-676-0122. BBJToday.com 1909 Cornwall Ave. • Bellingham, WA 98225 Phone (360) 647-8805 • Fax (360) 647-0502 Circulation: (888) 838-3000, circulation@bbjtoday.com Publisher: publisher@bbjtoday.com Editorial: editor@bbjtoday.com Advertising: sales@bbjtoday.com BBJToday.com (ISSN 21620997) is published monthly by Sound Publishing Inc. at 1909 Cornwall Ave., Bellingham, WA 98225. Periodicals Postage Paid at Bellingham, WA and at additional mailing offices. POSTMASTER: Send address changes to BBJToday.com, Circulation, PO Box 130, Kent, WA 98035.
said Nancy Steiger, CEO and chief mission officer for the PeaceHealth Northwest Network. obtain continuous funding for the center from the National Science Foundation, and represented the Shannon Point center during a 2003 White House ceremony where it received the Presidential Award for Excellence in Science, Math and Engineering mentoring. Saldivar promoted to VP position at Peoples Bank Peoples Bank has promoted Jerimy Saldivar to vice president and manager of its business services group. Saldivar joined the bank in 2001 and has spent the majority of his tenure building Jerimy Saldivar the bank’s merchant services portfolio. “The breath and complexity of products offered through the business services group is largely a reflection of Jerimy’s leadership,” said Anthony Repanich, Peoples Bank’s executive vice president. Saldivar lives in Lynden with his wife and four children. doesn’t collect data or surveys on how well customers respond to new flights. But through informal feedback from Denver travelers, he said new destinations are usually a hit. In Bellingham, the fact Frontier’s summer flights were so full helped the airline gauge its success. “Generally speaking,” Shurz said, “if the planes fill up, that tells us the community’s responding.” The senior executive did not have details on next year’s Bellingham-Denver summer flight. Those would likely be released in December, he said. This past summer, Shurz had said Frontier sought to utilize Bellingham’s location and cheap operating costs to attract Canadian passengers. Travelers from north of the border are the bulk of the Bellingham airport’s passenger base. He added that Bellingham’s airport has so far proven to be a strong market, particularly considering the success of Allegiant Air, another low-cost carrier attracting Canadian passengers. “We’re in some extent piggybacking off that, and in some extent expanding that,” Shurz said. produce than ones using traditional film. WECU® offers a full range of loan products to help you achieve your dreams. Since 1958, Skagit State Bank has partnered with local businesses to provide banking services and financial products. Call one of our commercial bankers or visit an office today to see how your business can benefit. Whether you are on land or at sea, Skagit State Bank works with you and your business, locally. We’ve built success by finding and developing great talent. Now it’s time to reward it. Plan ahead & Save Book your 2013 event by November 30th in order to take advantage of our all-inclusive Meeting Package for only $20.13 per person! All-Inclusive Meeting Package Includes: • Morning and Afternoon Snack Breaks • Banquet Room Rental, Setup and Breakdown • Basic AV Equipment and Services Call 360-724-0154 Sales@theskagit.com Whether you need meeting space or a party place… You’ll find it at The Skagit! We’re pleased to welcome the newest members of our partnership, Dena Herbolich and Mark Meier. Dena has more than 18 years of experience auditing employee benefit plans for a variety of organizations, and Mark brings more than a decade of experience developing tax-efficient strategies for closely held companies. Discover how they can make a difference to your business. theskagit.com • On I-5 at Exit 236 • 15 Minutes South of Bellingham Not valid on previously booked events or in combination with any other offer. Confirmed booking requires signed contract and deposit. Certain restrictions apply. Management reserves all rights. Values-based, high conviction investing with proven performance. 23 years of exemplary service. Find out more today. Please request a prospectus or summary prospectus which contains information about the investment objectives, risks, charges, and expenses of Saturna’s Funds which you should read and consider carefully. To obtain a free prospectus or summary prospectus, ask your financial advisor, visit www.saturna.com, or call 1-800-SATURNA. 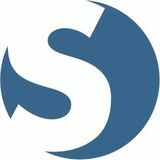 Saturna’s Funds are distributed by Saturna Brokerage Services, member FINRA/SIPC and a wholly-owned subsidiary of Saturna Capital Corporation. Visit www.saturna.com on your smart phone. of the Bellingham Waterfront District redevelopment project, as well as a developer for a hotel on the Port’s Airport property. Work already is underway for these developments. Each one of these public and private projects represents substantial numbers of new jobs and business opportunities for Whatcom County. come in. It makes you feel good for it to be confirmed that you have that kind of a reach. BBJ: Now that you have the money, is the pressure on to get your product out on time? HEGGEM: We’re in a unique situation where we’re building a manufacturing business here in Bellingham, and that has its trials and tribulations and adventures. Kickstarter has launched us and we have “X” numbers of product now that we are obligated to fulfill. We have to change gears from the marketing side and go into the production side, and because this is our first run of producing a market-ready product, it’s a challenging piece. That’s just a challenge that we’re going to have to go through right now to get us to where we have a finished product ready for the consumers to enjoy. hone, iPod shuffle, iPod nano, iPod classic, iPod touch, MacBook and MacBook Air are trademarks of Apple Inc., registered in the U.S. and other countries. Retina is a trademark opf Apple Inc.
SWITCH? There’s been a lot of frustration recently with large impersonal financial institutions charging new fees and generally behaving like large impersonal financial institutions. If you’re ready to try a local, not-for-profit financial institution that puts members first, we’ve got a place just for you. Even on Saturdays. Stop by one of our seven Whatcom County branches today! But it definitely is a challenging environment as a startup to have to go into that “ka-boom” where you need to manufacture and deliver. Our products aren’t little independent widgets, they are extremely complicated and highly engineered. We’ve got a lot of interest from third parties that have contacted us since who are asking: When’s the launch? When’s the product going to be available? Which is great—it’s great to have demand. Now we need to back ourselves up. The pressure is on for us to deliver. Our “beta” units now are getting moved into production, and we still have to evolve the product over time. These first deliverables are pieces that we hope we can use to get a lot of feedback from individuals that buy them. That’s another great aspect of Kickstarter. It will allow us to evolve the product. 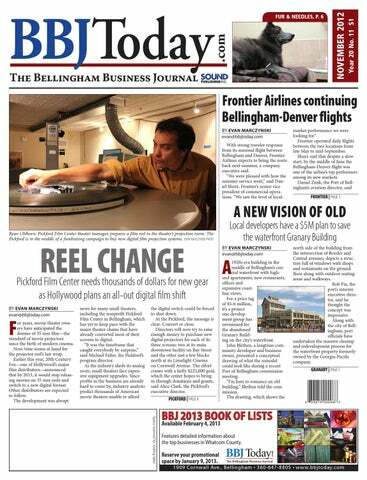 BBJ: Why base your production in Bellingham? HEGGEM: When Paul and I got together, we shared a definitive ethic of creating a local, sustainable business that really has its roots in Bellingham. We’ve always really enjoyed what Bellingham has to offer on an engineering level. or China. But that is not where we want to go, and that is not the right way to run what we do. That’s why we’re choosing the path we are on right now. BBJ: What advice would you give to others who might consider using Kickstarter to fund their inventions or products? HEGGEM: Like I said earlier, the crowdfunding aspect of Kickstarter is what we think as the new normal for startup businesses. Today’s technology has allowed us to take ideas and bring them into fruition quicker than they might be able to actually come into fruition. Social media has a tendency to do that. “Ideas are cheap and plentiful. You need to have the business plans to go behind them.” So, you have to be prepared. If you have an idea, make sure you are well prepared and you’ve gotten advice from a lot of different people. That’s a really important element with this, and I think Kickstarter is one of many crowdfunding sources that offer the opportunity to take an idea and pursue the American dream, or pursue any dream for that matter. Ideas are cheap and plentiful. You need to have the business plans to go behind them. Launching a Kickstarter campaign without a business plan that allows you to take advantage of and build from your results is going to sink you if you don’t have that tool in place. Top news items from BBJToday.com WinCo Foods plans $7M remodel of former Joe’s Sports store WinCo Foods has filed a building permit with the city of Bellingham for a $7 million remodel of the former Joe’s Sports store just off of Meridian Street. The grocery chain plans to make tenant improvements to the vacant retail space at 300 E. Bellis Fair Parkway, which is next door to Value Village, according to the permit that was accepted by the city on Oct. 5. The building has more than 100,000 square feet of space. The company has considered the vacant space for the past few years. In 2010, it began a design review process to make changes to the building’s facade and parking lot. Mike Read, a spokesperson for the company, said he was not in a position to comment on the permit filing when he was reached by phone on Tuesday, Oct. 16. But he did confirm that WinCo Foods was interested in the store location. WinCo, based in Boise, Idaho, operates more than 80 stores in the western U.S., and employs more than 14,000 people, according to its website. The employeeowned grocery chain is known for its 24-hour stores and discount prices. mailings being sent out by an entity calling itself Compliance Services or Corporate Records Service. The mailings request “annual minutes” and a fee of $125 be sent to them for filing. The notices are not being sent from the Secretary of State’s Corporations and Charities Division. The secretary’s office said annual minutes are not required to be filed with the state—they are supposed to be kept by businesses themselves. The fraudulent notices could be confused with legitimate notices sent by the secretary’s office or the state Department of Revenue’s Business Licensing Services reminding business owners to file their 2012 annual reports. For more information, contact the secretary’s Corporations and Charities Division at corps@sos.wa.gov or call 360-725-0377. Compliance Services and Corporate Records Service should not be confused with the Washington corporation Compliance Services Inc.
the state, with 5.3 percent. Grays Harbor and Ferry counties tied for the highest rate statewide—at 12 percent. State officials reported last week that Washington’s statewide unemployment rate was 8.5 percent, seasonally adjusted. Unemployment rates at the county level are not seasonally adjusted due to the small sample sizes, according to the Employment Security Department, so they should not be compared directly to the seasonally adjusted statewide rate. Read more business news items on BBJToday.com, or find us on Twitter, Facebook and Google+. packet at either Co-op service desk. sessions will be held from 7 pm to 9 pm on November 29 and December 6 in the Cordata Co-op Roots Room, and December 13 in the Downtown Co-op’s Connections Building. For more information, contact Board Chair Megan Westgate (360-592-5325 or meganmadhu@gmail. com) or Board Administrator Jean Rogers (360734-8158 ex. 217 or jeanr@communityfood.coop). business, and of course— prize money. So, what does a baker do with $10,000? Expand the cupcake brand. “We knew we wanted to expand the business,” Katie said. “The money from the show will help us do that.” Katie’s Cupcakes has launched a new T-shirt line, and within the next couple months plans to publish a children’s book featuring a lineup of colorful cupcake characters. The T-shirts, which can be seen online at www. wearcupcakes.com, feature cupcakes with names such as “Rocky Road,” “Linda Lemon” and “Perfect Peach.” Along with the apparel, Katie plans to add new gourmet dessert items to the bakery’s menu. She said she would also like to eventually open another location, which would be similar in size and character to the Fairhaven shop, either in Whatcom County or Skagit County. Neal Swanson said his wife had wanted to explore additional retail markets since the cupcake shop began seeing success. Katie’s Cupcakes opened on Harris Avenue in 2009. Katie said she was inspired to start the business after making visits to Manhattan’s famous Magnolia Becca Ord pours glasses of milk as she sets up shop for a private party at Bakery while liv- Katie’s Cupcakes in Fairhaven. EVAN MARCZYNSKI PHOTO ing in New York City. cupcake bakers from differ- allowed Katie to put her Magnolia Bakery is often ent parts of the country in a cupcake baking ability to credited as the spark of the three-round bake-off. the test. late ‘90s “cupcake craze,” A panel of judges decides “It’s neat to be able to get which led to worldwide which bakers move forward your business on TV,” he growth of cupcake-specific in the competition, and said. bakeries, as well as cookwhich ones are eliminated. “But after being in a town books and blogs devoted to After taping the show, of this size and being one the single-serving desserts. Katie knew the results. Yet of the only cupcake shops, After arriving in Bellingshe had to stay quiet until it was [a chance for Katie] ham, Katie said she knew the episode aired due to to get honest feedback the time was right to open contractual obligations with from quote-unquote expert shop. Food Network. judges.” “I knew I wanted to open Katie and Neal weren’t Katie said while elements my own business,” she said. even allowed to grant oneof the show’s competition “Something just sparked, and on-one interviews to local were played up for theatrical I knew I wanted to do it.” press prior to the premiere, effect, the tension and stress Though the “Cupcake even after news broke that evident on “Cupcake Wars” Wars” episode aired on Oct. the bakery would be feawere familiar feelings. 8, Katie flew to Los Angeles tured on the show. Keeping “I would say that it is to film the show in July. the secret was a challenge, actually similar to working “Cupcake Wars,” now both said. in the shop on a busy day,” in its seventh season, pits Neal said the show Katie said. REQUEST FOR QUALIFICATIONS NOTICE IS HEREBY GIVEN that proposals will be received by the Workforce Training and Education Coordinating Board (Workforce Board) until 5 pm, Pacific Time, on November 26, 2012. The Workforce Board is seeking a qualified professional to conduct several focus group sessions. Approximately $12,000 is available for this project. The Workforce Board is an equal opportunity employer. Minority and Women-owned businesses are encouraged to apply. The Workforce Board reserves the right to reject any or all submittals and to waive irregularities in the RFQ. The Request for Qualifications is posted at: http:// www.wtb.wa.gov/WPBLRequestforQualifications. asp. For further assistance contact Martin McCallum at (360) 709-4613 or email mmccallum@wtb.wa.gov. Serving: Bellingham, Blaine, Birch Bay, Ferndale, Lynden, Lummi Island and all of Whatcom County... more to explore. Sponsored content provided by Loni Rahm, Bellingham Whatcom County Tourism. We’re taking reservations for the newest expansion in the Pacific Northwest! KAO. Filed Oct. 2. Donald Carl Weaver and Dana Michelle Weaver, case no. 12-20024-KAO. Filed Oct. 1. Gopal Das and Bonnie Jean Das, case no. 12-19992-KAO. Filed Sept. 30. Michael Paul Granfors, case no. 12-19921KAO. Filed Sept. 28. Steven Arnold Diem, case no. 12-19842KAO. Filed Sept. 27. Yvonne Nicole Castaneda and Roberto Esteban Castaneda, case no. 12-19819KAO. Filed Sept. 26. Tammy Anne Lovelace, case no. 12-19814-KAO. Filed Sept. 26. Drew Michael Thayer and Jolene Kehr Thayer, case no. 12-19795-KAO. Filed Sept. 25. Doris Kathryn Ferry, case no. 12-19779KAO. Filed Sept. 25. CHAPTER 11 Stebner Real Estate Inc., case no 12-19825-TWD. Filed Sept. 26. CHAPTER 13 Karen M. Baker, case no. 12-20585-KAO. Filed Oct. 18. Timothy Chris Call and Tracy Jean Call, case no. 12-20536-KAO. Filed Oct. 18. Thomas Patrick LaPlante, case no. 12-20339-KAO. Filed Oct. 12. Judith Carol Larkin, case no. 12-20151KAO. Filed Oct. 5. Jerry Davis Caldwell, case no. 12-20111KAO. Filed Oct. 4. Jeffery Eldon Rich and Carly Lynn Rick, case no. 12-19991-KAO. Filed Sept. 30. Jesse Lee Eisses, case no. 12-19837-KAO. Filed Sept. 16. TAX LIENS Doeden Enterprises LLC, Samish Way Adult Family Home, $3,982.07 in unpaid IRS taxes. Filed Oct. 22. Milts Pizza Place LLC, Lynn Bernard Vanderyacht MBR, $15,905.79 in unpaid IRS taxes. Filed Oct. 22.
unpaid IRS taxes. Filed Sept. 28. JUDGMENTS C&H Management Services Inc., $7.445.78 in unpaid Department of Labor & Industries taxes. Filed Oct. 24. Amy Marie Butler and Rory James Butler, $104,009.06 in unpaid Department of Labor & Industries taxes. Filed Oct. 24. Myouzishan Starvin LLC, $887.87 in unpaid Department of Revenue taxes. Filed Oct. 22. Saving Lives From Fire LLC, $1,894.90 in unpaid Department of Revenue taxes. Filed Oct. 22. Pine Creek Construction Inc., $9,399.36 in unpaid Department of Revenue taxes. Filed Oct. 22. Nami Japanese Restaurant Inc., $4,696.78 in unpaid Department of Revenue taxes. Filed Oct. 22. Rude Family Enterprises LLC, $2,614.82 in unpaid Department of Labor & Industries taxes. Filed Oct. 19. Jerry David Alvarado, $13,763.74 in unpaid Department of Labor & Industries taxes. Filed Oct. 19. Pacific Northwest Karate LLC, $1,039.99 in unpaid Department of Labor & Industries taxes. Filed Oct. 19. J Sport Inc., $1,204.32 in unpaid Department of Labor & Industries taxes. Filed Oct. 19. Denito B. Lopez, $232 in unpaid Department of Revenue taxes. Filed Oct. 17. Lourdes A. Medina, $6.049.07 in unpaid Department of Revenue taxes. Filed Oct. 17. Joseph D. Kelley-Scott, $3,672.10 in unpaid Department of Revenue taxes. Filed Oct. 15. Raindance Roofing Inc., $3,058.77 in overpaid Department of Labor & Industries benefits. Filed Oct. 11. NW Choice Construction Inc., $9,156.03 in unpaid Department of Labor & Industries taxes. Filed Oct. 11. Allan Van Hofwegen Jr. and Lynette Van Hofwegen, $1,982.17 in unpaid Department of Labor & Industries taxes. Filed Oct. 11. La Vie En Rose, $979.71 in unpaid Department of Labor & Industries taxes. Filed Oct. 11. Rod R. Davis and Michelle M. Davis, $4,496.87 in unpaid Department of Labor & Industries taxes. Filed Oct. 11. George Keizer and Sherry M. Keizer, $4,262.92 in unpaid Department of Labor & Industries taxes. Filed Oct. 11. Rollan S. Woodward and Edith Faye Woodward, $1,408.01 in unpaid Department of Labor & Industries taxes. Filed Oct. 11. Northern Pacific Transportation, $4,237.77 in unpaid Department of Labor & Industries taxes. Filed Oct. 11. Lidhran Farm Inc., $3,288.04 in unpaid Department of Labor & Industries taxes. Filed Oct. 11. Beverly Ann Casey and Clark Wesley Casey Jr., $3,074.05 in unpaid Department of Labor & Industries taxes. Filed Oct. 11. Jayme Jean Clemenson, $1,050 in unpaid Department of Labor & Industries taxes. Filed Oct. 11. Milts Pizza Place LLC, $1,548.76 in unpaid Department of Labor & Industries taxes. Filed Oct. 11. Anthony W. Kesslau, $5,272.23 in unpaid Department of Revenue taxes. Filed Oct. 10. Jesse A. Perea, $968 in unpaid Department of Revenue taxes. Filed Oct. 10. Anne M. Wyman, $181.99 in unpaid Department of Revenue taxes. Filed Oct. 10. QFS Inc., $5,410.17 in unpaid Department of Revenue taxes. Filed Oct. 10. Zippy Services Inc., $157.01 in unpaid Department of Revenue taxes. Filed Oct. 10. Concrete Finishing by Forrest, $3,387.75 in unpaid Department of Labor & Industries taxes. Filed Oct. 8. BBJToday.com $217.94 in unpaid Department of Labor & Industries taxes. Filed Oct. 1. Trident Structural Incorporated, $18,893.53 in unpaid Department of Labor & Industries taxes. Filed Oct. 1. Emad T. Eyoub dba Starvin Sams XVII, $140.66 in unpaid Department of Labor & Industries taxes. Filed Oct. 1. JJK Holdings Inc., $1,917.67 in unpaid Department of Labor & Industries taxes. Filed Oct. 1. B&J Fiberglass LLC, $22,039.67 in unpaid Department of Revenue taxes. Filed Sept. 28. John P. Deleon and Maricela Deleon dba Peecho’s Auto Cleaning, $756.69 in unpaid Department of Revenue taxes. Filed Sept. 28. Leigh C. Lichtenwaldt dba The Raven’s Nest, $1,663.58 in unpaid Department of Revenue taxes. Filed Sept. 28. Norman A. Ridge, $1,656.80 in unpaid Department of Revenue taxes. Filed Sept. 28. Matthew J. Simmons and Jessica M. Simmons dba Simmons Automotive Services, $1,101.92 in unpaid Department of Revenue taxes. Filed Sept. 28. Ronald L. Wolfmeyer dba Wolfmeyer Enterprises, $2,128.79 in unpaid Department of Revenue taxes. Filed Sept. 28. Whatcom Sign Post Inc., $1,101.92 in unpaid Department of Revenue taxes. Filed Sept. 28. Halldorson Homes Inc., $5,509.18 in unpaid Department of Revenue taxes. Filed Sept. 26. Patriot Sales Inc., $168.56 in unpaid Department of Revenue taxes. Filed Sept. 26. Triple D LLC dba Dale’s Electric, $4,407.34 in unpaid Department of Revenue taxes. Filed Sept. 26. Tubb’s Tavern dba Tubb’s, $6,611.01 in unpaid Department of Revenue taxes. Filed Sept. 26. Vivian L. White dba Skagit Family Law, $1,950.32 in unpaid Department of Revenue taxes. Filed Sept. 26. Bellingham Whatcom Radiator & Battery Repair, $5,669.17 in unpaid Department of Revenue taxes. Filed Sept. 26. David A. Dopps dba David A. Dopps, $2,128.76 in unpaid Department of Revenue taxes. Filed Sept. 26. LIQUOR LICENSES NEW APPLICATIONS Jansen Art Center , applied to sell liquor in a nonprofit arts organization at 321 Front St., Lynden, WA 98264. Filed Oct. 22. Cafe Rumba, Marco Antonio Mallet and Jose Antonio Diaz applied to sell beer/wine in a restaurant and for off-premises consumption at 1470 N. State St., Bellingham, WA 98225. Filed Oct. 17. Extremes Sports Grill, Carl M. Schuessler and Patricia R. Schuessler applied for a license change to sell beer/wine/spirits in a restaurant lounge and sell kegs to go at 4156 Meridian St., Suite 101, Bellingham, WA 98226. Filed Oct. 4. Seabreeze Coffee House, Catherine A. Stovall and Joe Stovall applied to sell beer/ wine in a restaurant at 21 Bellwether Way, Suite 101, Bellingham, WA 928225. Filed Oct. 4. Halibut Henry’s, Vicki Ann Rogers and Gary Wayne Rogers applied to sell beer/wine in a restaurant at 355 Harris Ave., Suite 105, Bellingham, WA 98225. Filed Oct. 3. PFC’s Limelight Cinema; Kathleen Allison Culver, James Moncrieff Willson, Kathryn Ann Washatka and Ben H. Frerichs applied to sell beer/wine in a tavern at 1416 Cornwall Ave., Bellingham, WA 98225. Filed Sept. 26. View more data listings at BBJToday.com. MORTGAGES WITHOUT OBSTACLES. © 2012 PrimeLending, A PlainsCapital Company. Trade/service marks are the property of PlainsCapital Corporation, PlainsCapital Bank, or their respective affiliates and/or subsidiaries. Some products may not be available in all states. This is not a commitment to lend. Restrictions apply. All rights reserved. PrimeLending, A PlainsCapital Company (NMLS no: 13649) is a wholly-owned subsidiary of a state-chartered bank and is an exempt lender in the following states: AK, AR, CO, DE, FL, GA, HI, ID, IA, KS, KY, LA, MN, MS, MO, MT, NE, NV, NY, NC, OH, OK, OR, PA, SC, SD, TN, TX, UT, VA, WV, WI, WY. Licensed by: AL State Banking Dept.- consumer credit lic no. MC21004; AZ Dept. of Financial Institutions- mortgage banker lic no. BK 0907334; Licensed by the Department of Corporations under the California Residential Mortgage Lending Act- lender lic no. 4130996; CT Dept. of Banking- lender lic no. ML-13649; D.C. Dept. of Insurance, Securities and Banking- dual authority lic no. MLO13649; IL Dept. of Financial and Professional Regulation- lender lic no. MB.6760635; IN Dept. of Financial Institutions- sub lien lender lic no. 11169; ME Dept. of Professional & Financial Regulation- supervised lender lic no. SLM8285; MD Dept. of Labor, Licensing & Regulation- lender lic no. 11058; Massachusetts Division of Banking– lender & broker license nos. MC5404, MC5406, MC5414, MC5450, MC5405; MI Dept. of Labor & Economic Growth- broker/lender lic nos. FR 0010163 and SR 0012527; Licensed by the New Hampshire Banking Department- lender lic no. 14553-MB; NJ Dept. of Banking and Insurance-lender lic no. 0803658; NM Regulation and Licensing Dept. Financial Institutions Division- lender license no. 01890; ND Dept. of Financial Institutionsmoney broker lic no. MB101786; RI Division of Banking- lender lic no. 20102678LL and broker lic no. 20102677LB; TX OCCC Reg. Loan License- lic no. 7293; VT Dept. of Banking, Insurance, Securities and Health Care Administration- lender lic no. 6127 and broker lic no. 0964MB; WA Dept. of Financial Institutions-consumer lender lic no. 520-CL-49075. IS READY TO GO TO WORK FOR YOU People who live, work and play in Whatcom & Skagit counties are listening to PRAISE 106.5. It’s why we’re the top station in the market for adult weekly listening audience*. And its why your advertising campaign is simply not complete if it doesn’t include reaching PRAISE listeners. can lower your monthly payments, and no prepayment penalties. If anything does arise during the loan process, the experienced staff in our SBA Loan Department can easily handle it for you. Why not see if an SBA loan is a good fit for your business? Call or stop by and talk with any of our commercial lenders. It just might be the most straightforward meeting you’ve had in quite a long time.